Boris Kodjoe is an Austrian-born actor and model of German and Ghanaian descent. He had his breakout role playing Sports Courier agent on the “Soul Food” series. Before venturing into acting and modeling, he was training to become a professional tennis player but however sustained some career-ending injury. Find out more in-depth details about him here. Boris Frederic Cecil Tay-Natey Ofuatey-Kodjoe (Boris Kodjoe for short) was born to his father, Eric Kodjoe and his mother, Ursula on the 8th of March, 1973, in Vienna, Austria. He grew up in Freiburg im Breisgau and as a result of this, he is fluent in German, English, and French. He also and speaks a bit of Spanish. Boris got a tennis scholarship to attend the Virginia Commonwealth University. He eventually graduated with a bachelor’s degree in marketing in 1996. He was a letterman on the Rams’ men’s tennis team for a 4-year period. Currently, he is the ninth in the school’s history with a total of 75 career singles wins. Having been paired with Jonas Elmblad on 37 of the games, he came in third in the doubles with 66 victories. Boris on the set of “Code Black” season 1, episode 15. His major career break came when he became a regular cast on the hit series “Soul Food” which is also where he met his wife, Nicole Ari Parker. In 2002, he starred in the movie “Brown Sugar.” In the December 2005, he played the role of the wayward son of a pastor in the film “The Gospel.” He later performed in a play called “Whatever” alongside Vivica A. Fox. Boris Kodjoe’s more recent work is seen on the BET comedy parody series Real Husbands of Hollywood, in 2013. The following year, Kodjoe began starring as a regular cast on the ABC primetime soap opera Members Only created by Susannah Grant. In 2015, Kodjoe began a recurring guest-star role in Fox’s The Last Man on Earth television series. His mother, Ursula is a German Psychologist of Jewish descent, while his father, Eric Kodjoe is a Ghanaian physician who is of the Krobo people. Sadly, his parents divorced when he was six years old and he was raised in Freiburg, Germany by his mother. Interestingly, Kodjoe’s matrilineal great-grandmother was Jewish and she was a victim who died in the Holocaust. However, his maternal grandmother did survive by going into hiding during the war. He has a moderately small family consisting of just one brother “Patrick” as well as two sisters “Lara and Nadja.” Interestingly, his brother, Patrick Kodjoe is also a sportsperson as he played for the VCU’s basketball team. 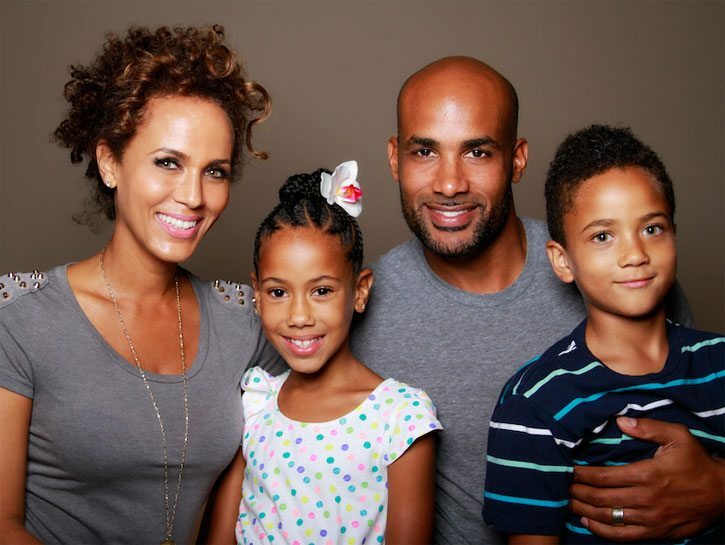 Kodjoe is happily married to Nicole Ari Parker. They happened to be co-stars on the “Soul Food” Series. They tied the knot on May 21, 2005, in a simple ceremony in Gundelfingen, Germany. Nicole gave birth to their first child and daughter “Sophie Tei-Naaki Lee Kodjoe,” on the 5th of March 2005. Sadly, Sophie was born with a condition called “spina bifida, which was diagnosed at her birth. This condition requires round-the-clock catheterization for her bladder, and she must be diligent about potty breaks. Other than this, she is a strong and bubbly girl who is growing up fast into a beautiful young woman. They also have a son named “Nicolas Neruda Kodjoe,” who was born on the 31st of October 2006. They all reside in Los Angeles, California. 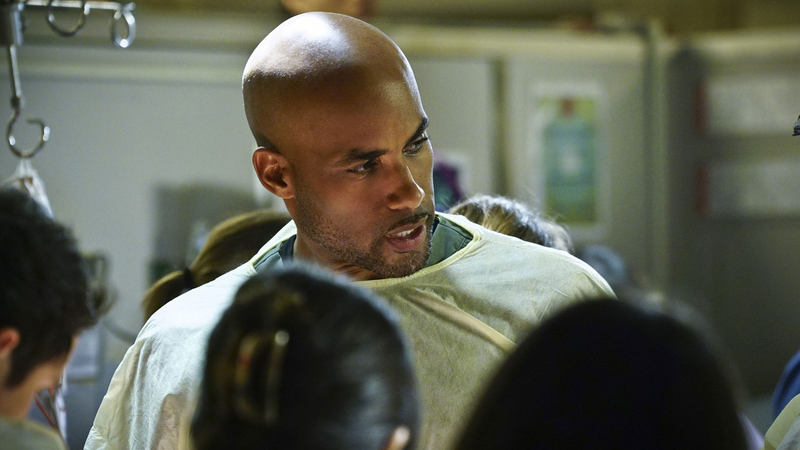 Boris Kodjoe is a man of many talents. Not only is he a handsome man, he also scores in terms of his body statistics. Kodjoe is a man who knows the importance of keeping fit because this is one of the criteria for having a long and successful career in showbiz. In terms of his height, he stands tall at an enviable 193 cm (6 ft 4 in). When focusing on his weight, we dare say he looks incredibly fit even for a man of his age as he currently weighs a moderate 100 kg (220 lbs). Simply put, he is a buff man with muscles in all the right places. Though he is married, his fitness regimen still makes him the crush of many ladies who only wish he wasn’t ‘off the market’ already. 1. His first job was at age 9 when a circus came to his German town. He job was basically to feed the animals. 4. Likes to sing and has recorded an album that was never released. 5. First performed on Broadway in April 2008 in Cat on a Hot Tin Roof.